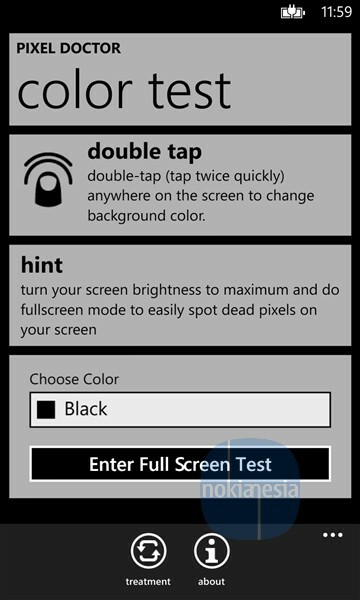 Home / application / Lumia TipsTrick / MadeInIndonesia / nokia / Nokia Lumia Windows Phone / Tips Trick / #Tips&Trick: Spot Dead Pixel on Your Nokia Lumia Screen with "Pixel Doctor"
#Tips&Trick: Spot Dead Pixel on Your Nokia Lumia Screen with "Pixel Doctor"
If you have a new Nokia Lumia Windows Phone or you are existing user of Nokia Lumia Windows Phone and you want to check your Nokia Lumia screen to make sure that your screen is "Dead pixel" free? 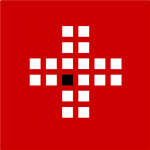 You should use "Pixel Doctor" application for your Nokia Lumia with Windows Phone 7.x and 8.Made by Indonesia mobile developer, this application is free on Windows Phone Store. 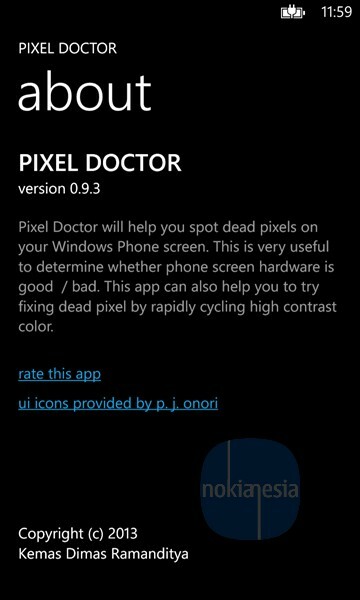 "Pixel Doctor" will help you to spot dead pixel on your Nokia Lumia screen. 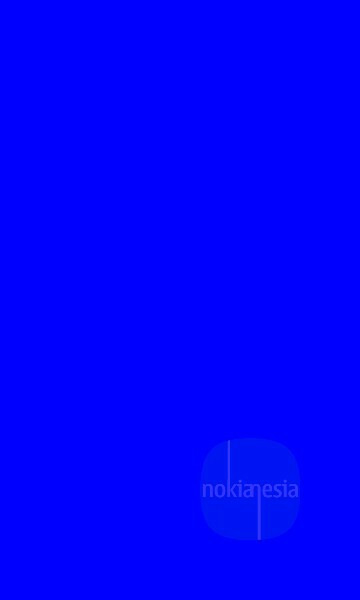 This simple application will show full screen color to spot dead pixel. You can also use "Treatment" feature to try to help you to fix the dead pixels by rapidly cycling high contrast color.